October 29, 2015 ~ NickyB. I’ve been on my feet for over 7 hours. It rained on the way home and I was stuck in traffic for a bit. I checked the kids’ bookbags as I do daily and realized they BOTH had homework. Why dear God…Why?!? So it’s been an hour and 45 minutes and finally all homework is done! My daughter is pretty much self motivated but I do have to double check her work. MJ while an angel at school when they ask him to work, is NOT cooperative at home. He does not focus and literally acts like he doesn’t know how to do it when I KNOW that he can. I basically feel like I HAVE HOMEWORK whenever they have homework (sigh). Anyone else feel this way??? Sometimes I do. It makes you wonder if all parents are as involved as you are 😐. It’s like having yet another job on top of jobs 2,3,4 etc. Keep praying sister! I’m so tired I’m delirious! I just literally laughed for 5 min for no reason at all lol! I’ve gotta go get some rest! I understand!! You are doing great! It is hard for sure!! Yes, all the time……and when your kid is actually a college professor (adjunct but….) and he wants your opinion about a big deal lecture he has to give and you are expected to read it and give suggestions because….you always have…….it never ends. It. Never. Ends. It’s raining here too. And is yucky. And I want to binge watch…..something mindless…..and eat chips by myself…..oh yes, where was I?……Yep, I totally understand how you feel and I’m laughing for no reason right along with you! OMG that was me. I could NOT do homework at home. I didn’t mind schoolwork at school. But homework at home KILLED me. I could try for hours and hours to focus but I couldn’t. I couldn’t get motivated. I couldn’t get started. I couldn’t comprehend the assignment instructions. It was a hell I wouldn’t wish on any child. I would be in tears. I’d be panicking. But I couldn’t get through homework. My mum would find out by my crying that I had a massive project due the next day that should have taken all week but I had never started. Horrible times. OMG that must’ve been horrible! I didn’t have any asperger or ADD or reading diagnosis back then. There are times when I just make him stop and he doesn’t do it. I just ask his teacher if he can complete it in class. Sometimes it’s just better that way. Good Lord! Yes, I too hate homework and completely understand. After an 8 or 9 hour workday, traffic and weather who has the strength?? YES, I feel the exact same way. Homework is the bane of my existence. Luckily, I can still help my daughter with hers — but at some point, it’s going to be over my HEAD! I swear you could have written this about my Alex! I actually commented to a friend the other day that I’d rather bang my head into a brick wall while standing barefoot on Legos than go through the homework every day. Lol! It’s horrible isn’t it! I don’t ever remember having so much HW!!! not to mention the weird “strategies” they teach in math. that’s the frustrating part for me, what ever happened to learning how to just add numbers? Ugh! I can’t stand it! Same here!! I’ve been to school and done homework and I really don’t want to do anymore!! And the common core stuff; don’t get me started! I’ve actually had arguments with my 8 year old over Homework and the common core way of doing it!!! Ugh! 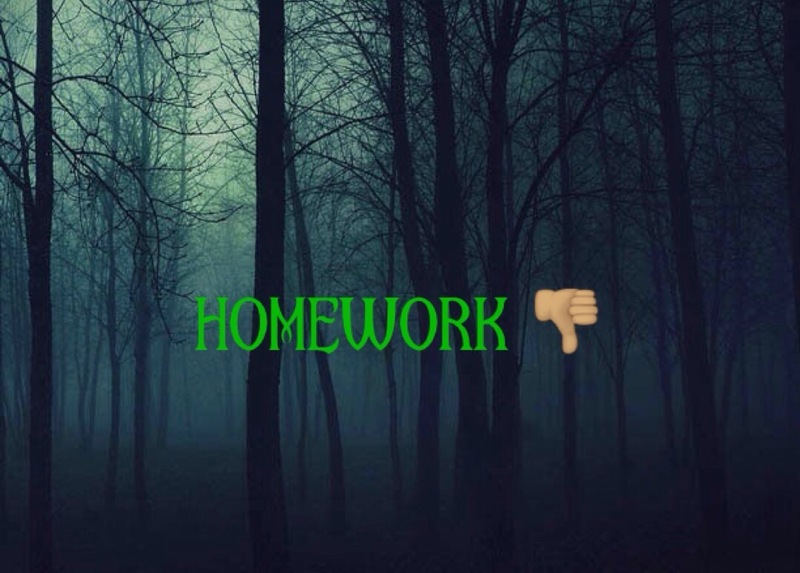 I was a teacher, and I hated assigning homework. But, I was forced to by school policy. The kids were Kindergarteners!! I think it’s criminal to give youn g kids homework, unless they didn’t finish a class assignment. But otherwise, let them play and enjoy being a kid!! Kids suffer, and the parents suffer right along with them!! Oh, yes, thank you for following my blog! I hope you enjoy!